Arsenal’s new manager Unai Emery is reportedly ready to get his team playing a long-ball game in an end to the club’s passing traditions under his predecessor Arsene Wenger. Wenger stepped down at Arsenal after 22 years in charge this summer, with Emery coming in after leaving his previous role at Paris Saint-Germain. The Spanish tactician was a success at Sevilla in his time in La Liga, and seems an intriguing choice by Arsenal as he seems prepared to make a very big call. 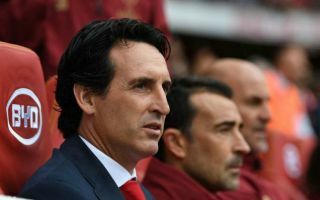 According to the Daily Mirror, Emery could be ready to stop the Gunners playing their traditional passing game and go for a long-ball approach if it brings about the right results. The 46-year-old hasn’t had the easiest of starts at the Emirates Stadium, with Arsenal winning just once in his first three matches in charge. It may be that playing more direct is what the north London giants need, and fans will be intrigued to see this rather brave move by their new head coach. If it backfires, however, it is unlikely to go down well with a fan-base who are used to watching entertaining football, even if it hasn’t always yielded silverware.